CHICAGO, May 26, 2012 — At the UIC Pavilion, located on the University of Illinois – Chicago campus, Alexandra Raisman of Needham, Mass./Brestyan’s American Gymnastics, and Simone Biles of Spring, Texas/Bannon’s Gymnastics, won the senior and junior all-around titles, respectively, at the 2012 Secret U.S. Classic, the final qualifying event for women's gymnastics for the 2012 Visa Championships. 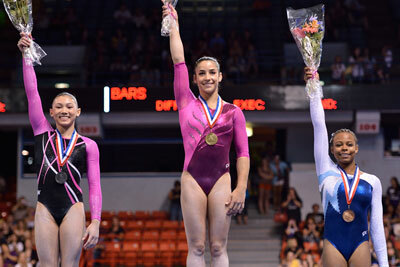 Raisman, who entered the competition as the defending champion, posted a 60.350 all-around total to win the gold medal. Raisman began competition on the floor exercise, where her dynamic tumbling, which included a one-and-a-half to Arabian double front to layout, earned a 15.350 and a share of the event title. On the vault, Raisman earned 15.650 for her Amanar, while posting a 14.350 on the uneven bars. In the final rotation, Raisman completed her all-around competition, posting the competition’s top score on beam, a 15.000, by completing a back handspring to two-foot layout and a Patterson dismount. 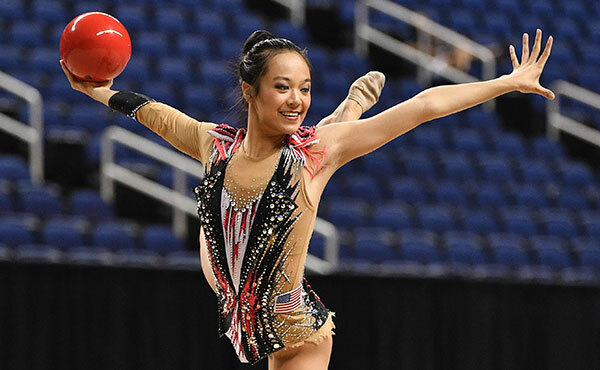 First year senior Kyla Ross of Aliso Viejo, Calif., took second in the all-around with a 59.800 total. Ross began solidly on the balance beam, earning a 14.700 after dismounting with a stuck double back tuck. Ross, using music from the Phantom of the Opera, posted a 14.350 on the floor. In the third rotation, she earned a 15.300 for her two-and-a-half twisting Yurchenko. 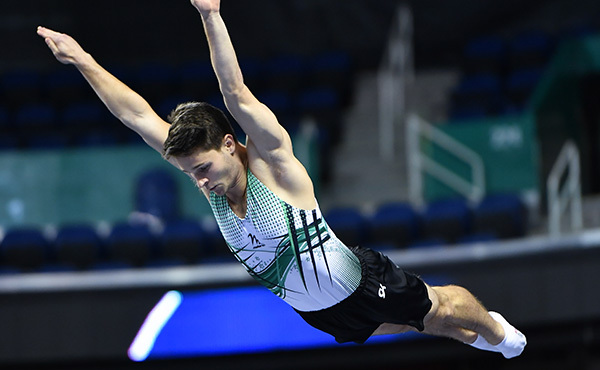 Closing out the competition on the uneven bars, Ross displayed an upgraded routine, which included a toe-on Shaposhnikova to Pak salto, and earned 15.450. Kennedy Baker of Flower Mound, Texas, another first year senior competitor, took the all-around bronze medal with a solid 56.800 total. Baker earned her highest score of the day on the uneven bars, a 14.600, dismounting with a tucked, full-twisting double back. Baker earned 14.350 on balance beam, a 13.950 on floor exercise, a 13.900 for her full twisting Yurchenko vault to complete her competition. McKayla Maroney of Long Beach, Calif./All-Olympia, the 2011 World vault champion, soared through the air on her Amanar vault earning a 16.100. Maroney debuted a Yurchenko half-on, layout front full off for her second vault and earned 15.600. Her 15.850 average score gave her the gold medal on vault. On the uneven bars, Gabrielle Douglas of Virginia Beach, Va./Chow’s Gymnastics and Dance, posted the top score, 15.700, floating above the bar on straddled and piked Tkatchevs before dismounting with a double layout. Ross was second with a 15.450, while Rebecca Bross of Plano, Texas/WOGA, who posted 15.300, earned the bronze, swinging a toe-on Shaposhnikova half. Jordyn Wieber of DeWitt, Mich./Gedderts’ Twistars USA, who is the reigning World all-around champion, and Raisman posted matching 15.000 scores to tie for the top spot on balance beam. Wieber, who only competed in bars and beam, was solid on her front handspring to back full to back handspring combination. 2008 Olympic all-around champion Nastia Liukin of Parker, Texas/WOGA, and Sarah Finnegan of St. Louis, Mo./Great American Gymnastics Express, tied for third place with matching 14.900 scores on beam. 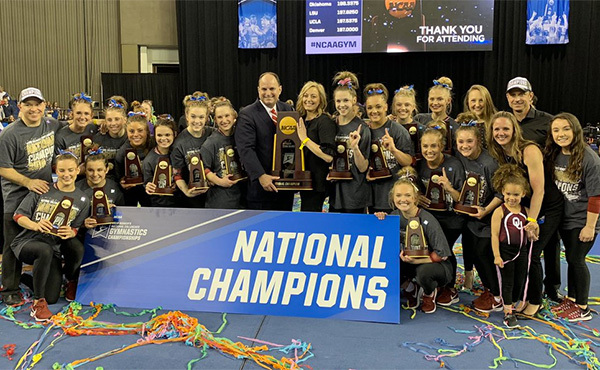 Liukin, who was competing in her first competition since 2009, showed impressive form, executing a front aerial to back handspring to layout stepout and dismounting with a two-and-a-half twisting layout. Finnegan was extremely polished, performing a standing Arabian and back handspring, back handspring, two-foot layout series. Raisman took the floor title (15.350), followed by Finnegan (15.200) and Douglas (14.850). In the junior division, Biles scored a 58.150 to win the title. Madison Desch of Lenexa, Kan./Great American Gymnastics Express, took second in the all-around with a score of 57.350. Amelia Hundley of Hamilton, Ohio/Cincinnati Gymnastics, finished third with a score of 57.250. On vault, Biles competed a Yurchenko 2.5 and stuck the landing to score a 16.050, which was the highest score of the junior competition. Desch competed a Yurchenko double twist and scored a 14.700 for second place. Hundley took third on vault with her Yurchenko double full, which scored 14.450. Katelyn Ohashi of Plano, Texas/WOGA, showed a new uneven bars routine with upgrades including two Healeys and an Ono to win the title with a score of 14.950. Polina Shchennikova of Arvada, Colo. /Tigar, finished second on bars with a score of 14.400, and there was a tie for third between Hundley and Ariana Guerra of League City, Texas/Great American Gymnastics Express, both with 14.100. Desch also won the balance beam title showing a flip flop, flip flop, layout full twist and scoring 14.550. Teammates Hundley and Lexie Priessman of Cincinnati/Cincinnati Gymnastics Academy, took second and third, respectively, with scores of 14.450 and 14.300. On floor exercise, Priessman had the top score of a 14.650, showing a double twisting double back for her first pass and a tucked full twisting double back for her dismount. There was a tie for second on floor between Biles and Desch, both scoring 14.550. 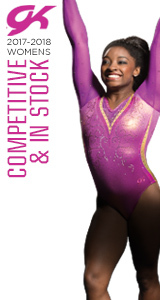 The 2012 Visa Championships, USA Gymnastics' national championships, are June 7-10 in St. Louis, Mo. 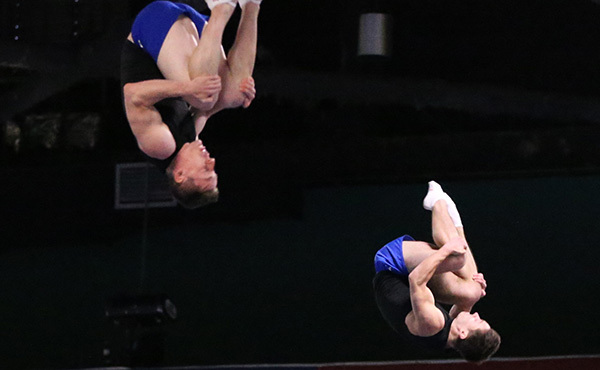 The U.S. champions for men's and women's artistic gymnastics are determined at the Visa Championships, as well as the national teams. 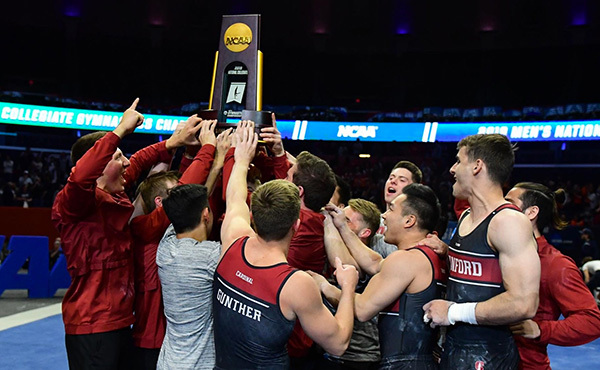 The top athletes from the Visa Championships will advance to the U.S. Olympic Trials – Gymnastics, June 28-July 1 in San Jose, Calif.
• UIC Pavilion. Located on the campus of the University of Illinois at Chicago--just minutes from Downtown. The UIC Pavilion is one of the Midwest's finest arenas. In its brief history, it has hosted many special or one-of-a-kind programs. The UIC Pavilion hosts concerts, UIC sports, boxing, meetings, festivals, and corporate, civic, and cultural events. The UIC Pavilion is a 10,000-seat multi-purpose arena, located at 525 S. Racine Street Chicago IL, 60607. • World Sport Chicago. World Sport Chicago, the legacy of Chicago’s 2016 Olympic bid, believes that sport has the power to transform lives and is dedicated to helping children in Chicago find a sport to meet their interests and abilities. The organization promotes the Olympic ideals of fitness, education and well-being by working with partner organizations to launch or expand sport programs for kids. WSC is working to introduce Chicago’s youth to the fun and benefit of sports and the ideals of fair play, teamwork, respect and leadership. • Procter & Gamble. P&G touches and improves the lives of about 4.4 billion people around the world with its portfolio of trusted, quality brands. The Company's leadership brands include Pampers®, Tide®, Ariel®, Always®, Whisper®, Pantene®, Mach3®, Bounty®, Dawn®, Fairy®, Gain®, Pringles®, Charmin®, Downy®, Lenor®, Iams®, Crest®, Oral-B®,Duracell®, Olay®, Head & Shoulders®, Wella®, Gillette®, Braun®, Fusion®, Ace®, Febreze®, and Ambi Pur®. With operations in about 80 countries, P&G brands are available in more than 180 countries worldwide. Please visit http://www.pg.com for the latest news andin-depth information about P&G and its brands.